You have worked hard and pinched pennies and now you are ready to buy your first house. Perhaps your family has grown, and you need more room in a bigger house. Just looking to refinance? Maybe it is time to get off the fence! Home loan rates are projected to remain low in 2019. If you are ready to move – now is probably a great opportunity to lock in a very affordable rate! Read on to learn about planning your home purchase or refinance. Mortgage rate forecasts for 2018 proved fairly accurate. Most authoritative sources had predicted 30-year fixed rates would fluctuate between 4.7% and 5.0%. That range pretty much held true all year. The biggest players in the residential mortgage industry – Fannie Mae, Freddie Mac, the Mortgage Bankers Association (MBA), and the National Association of Realtors (NAR) – all are fairly close in their predictions for this year. These heavy-hitters are indicating 30-year fixed loan rates will remain in the high 4s to low 5s throughout 2019. The range extends from around 4.75% to a high of about 5.3%. There is even some speculation that rates will not exceed 5.0%. There is also talk that rates could reach 5.5% later this year. What is the truth on the ground? Well, let’s equate it to trying to “time” the stock market to sell at the highest high and buy at the lowest low. Can anybody do that reliably? No! Some mortgage shoppers might be lamenting the good ol’ days of sub-4% fixed rates. It is true that the market got crazy low for quite a period of time. Fox Business News has a perspective that is worth remembering. Back in the “distant” 1990s, the average mortgage rate was 8.1%. Rates did not drop below 5% until 2009 – and that was at the beginning of the financial meltdown. So, 30-year fixed rates at or around 5% are still historically low. For those who are serious about buying a new home, going upscale to buy a larger home, or just wanting to refinance an existing mortgage – this could be your time to pounce! There are many options in the mortgage marketplace for you to choose from. In addition to 30-year fixed loans, there are a plethora of shorter-term loans (i.e., 15-year) and also Adjustable Rate Mortgages (ARMs) available. It is all really based on what level of payment your budget can support, and at what level a lender will qualify you. Just because you get a “no” from one lender does not mean that another will not say “yes”. Be flexible and be persistent! There are several different programs available when it comes to choosing the right mortgage. 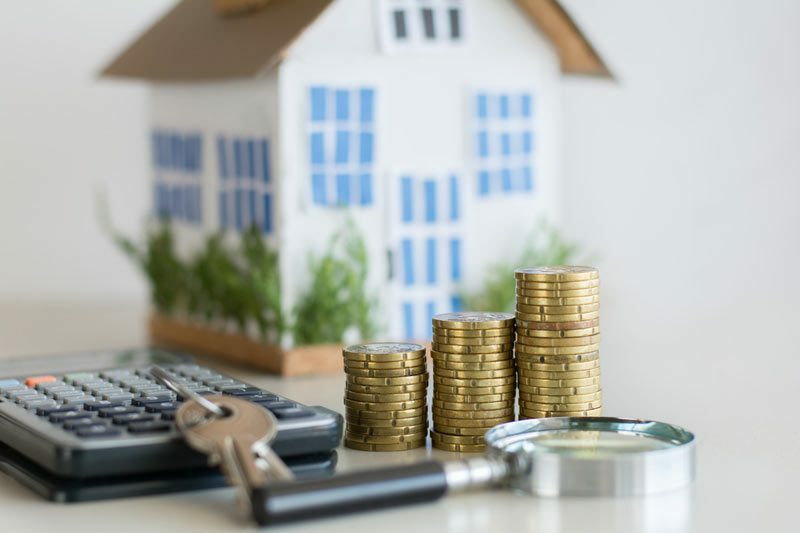 It depends not only on your family’s budget for a monthly mortgage payment, but also your credit score, the amount of down payment available, the amount of equity in your home (for a refi), and other variables. Competition among lenders is fierce, so keep that in mind when shopping for a mortgage. You may be able to negotiate more favorable loan terms, even if you cannot get a lower rate. You have probably heard of the various options by now: Conventional, FHA, VA, HARP, USDA, et al. It takes a bit of time to glean all the facts regarding each one of them. Knowing program details is key to your decision. Signing on the dotted line for a home loan rate that fits your family’s needs is the goal! We are here to help you in making that crucial decision. Contact us for a consultation.